We can all go without food for days, even weeks or months, but going without water can and most probably will have an impact on our health. The truth is that most of us don’t realise just how vital water is when it comes to helping us keep our health levels high. Generally we think that drinking enough liquids throughout the day will keep us hydrated. However, most liquids like tea, coffee, alcohol and sugary fruit drinks do not hydrate the body like water does. In fact the reality is that there are lots of people walking around that are actually dehydrated and don’t know it! We also lose water throughout the day through our breath, sweat, urine and bowel movements. If you are lucky enough to live in warmer climates (in other words, not Britain) then you will lose even more fluid. This means that we need to replace these lost fluids to stay healthy. If we don’t then we are in danger of dehydration which is of course is dangerous for us. Is it only water that keeps us hydrated? All liquids will help us keep hydrated but water is the best choice. It’s free and has no sugar or calories. You can also get water through food. Some fruits and vegetables contain a lot of water, such as watermelon and lettuce. The typical human body needs to consume around 2 litres of water each day and this is where the Hydratem8 comes in. Drink two bottles a day and job done. With our interactive chart you can monitor your daily water intake each day to ensure you are on track. Do take note that some adults may need more or less. This depends on how healthy you are, how much you exercise, and how hot the climate is where you live. 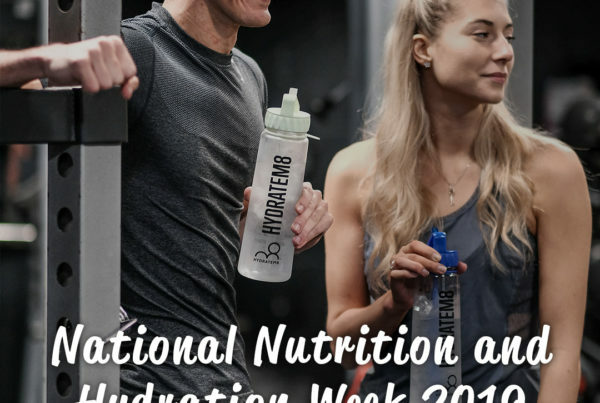 Last week we produced this blog on 10 reasons you need to drink more water, which may help keep you motivated to drink those important 2 litres each day. So you know why you need to drink water each day and you know how much, the question is are you? 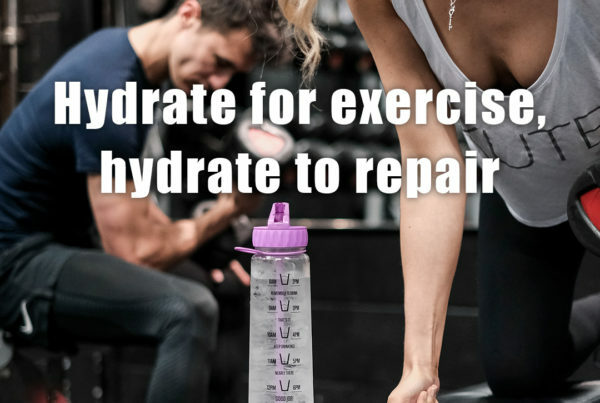 Plainly obvious but if the answer is yes then you could be dehydrated and it’s time to get out your Hydratem8! Excuse us for getting personal, but if you haven’t gone in a while, or if your urine is dark, then the chances are you are probably in need of some water. Pinch the skin on the back of your hand for a couple of seconds and then release. Does it smooth out straight away? If it takes a while for your skin to lie flat again, then you’re dehydrated. So the million dollar question – are you getting enough water into your body each day? Don’t take the risk and keep yourself hydrated. 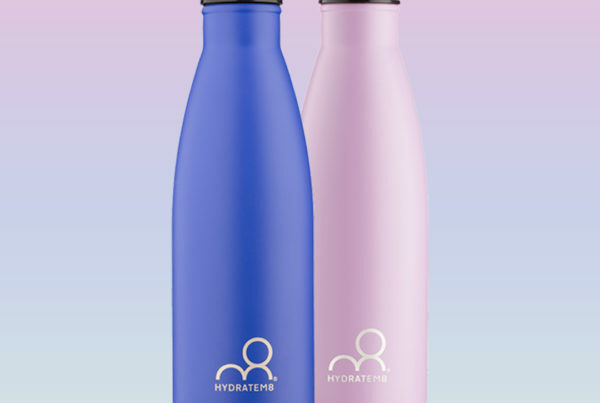 Take a look at our range of bottles that will help you stay hydrated.